Ahhh…remember the 60s? No? You don’t? Well then, this pattern is for you! 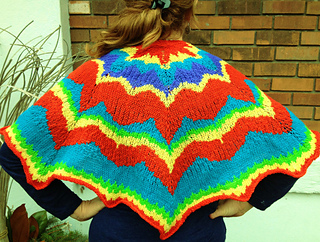 Inspired by the ravatar of Ravelry’s Raribear, this retro shawlette is so colorful, you can’t forget it! 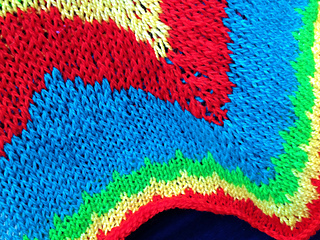 To make a full-sized shawl, you need only add more colorful repeats. Peace!